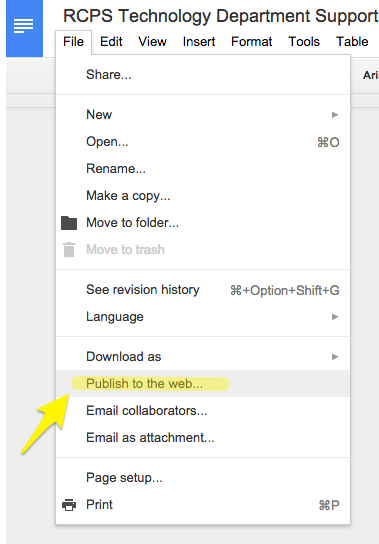 You can use a special feature (File > Publish to the Web) to turn any Google Doc into a very basic web page. It's not fancy and is somewhat limited in scope but for basic purposes, I recommend it! See also information on using QRStuff.com to create QR codes for your Google docs and web pages. Note that the real power of this is that you can always go back to your original Google Doc and make changes or edits and those changes are automatically published. The link doesn't change but viewers will see your update within minutes.